Thread: One week to go! As of next Saturday I will have my first leo! (hopefully, fingers crossed). I will be attending Repticon in Norfolk Va, as long as the weather holds for the drive. My cage has been up and running for 12 days, broke down and got a small UTH for under the hot hides, the floor temp rage is 88-70 with an average ambient of 72. Just one question....in your all's experience, how likely is it that $100 in cash be enough for a normal male gecko with some left over for feeder roaches? If you just want a nice looking gecko, in my opinion, given the large amount of leopard geckos on the market, that should be plenty of cash. You can go to the Norfolk Replicon page, look at the vendor list and find them on Facebook. 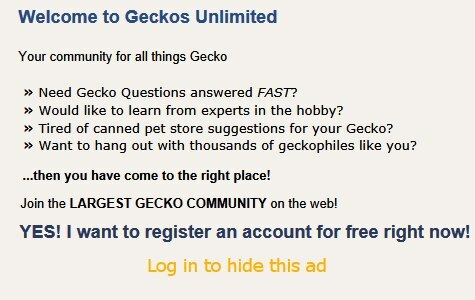 I spent some time with that and only found 2 vendors of those listed who say they sell leopard geckos. One, Spcl-G Morphs, has them for $25-30 on their Facebook page. Best wishes for finding the leo of your dreams, SpottedDragon! You're READY! You've done your homework. Thanks, I'll look at them on Fauna's BOI as well for reviews. I don't have facebook, but that was a concern when I was looking over the vendor list. Looks like mostly ball pythons, which will still be fun for me to see. If I don't find one there, there is a local show in March that usually has some, but I didn't want to wait that long if possible.